Have we Lost the Gift of Healing the Sick? 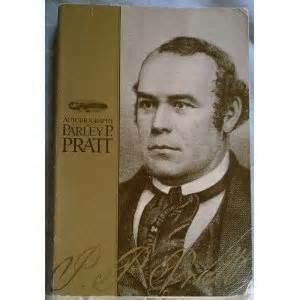 I’m reading a great book about one of the first converts and apostles to the Church of Jesus Christ of Latter-day Saints, Parley P Pratt. For those interested in a pretty good glimpse into the early church and the challenges and miracles that took place, this is a very good read. One of the miracles that he describes is when the Latter-day Saints had been driven out of their homes in Missouri and into Illinois. They were destitute and left in the cold along the Mississippi River on a swampy land with no shelter. People were getting very sick. Here many were lying sick and at the point of death. Among these was my old friend and fellow servant, Elijah Fordham. He was now in the last stage of a deadly fever. He lay prostrate and nearly speechless, wit his feet poultice; his eyes were sunk in their sockets; his flesh was gone; the paleness of death was upon him; and he was hardly to be distinguished from a corpse. His wife was preparing his clothes for his burial. Joseph Smith’s quote caused me to reflect on the power of healing within the Church of Jesus Christ today. For those of you not familiar with how Elders are instructed to heal within the Church, I’ll share some information on the procedure, purpose and process. In the Bible, there is a scripture that discusses how people who are sick should call on the elders and they will lay hands and anoint the people so they can be healed. Today, we are instructed to do the same thing. We have olive oil that has been consecrated for healing the sick. We then put a little oil on the head of the person being blessed and then as the Holy Spirit shares thoughts and impressions in our minds, we pray and bless the people who are sick. I have witnessed miracles on occasion through blessings such as these. For example, my little sister had a bad accident when she was 3 and my father gave her a blessing of healing and she started breathing again and was healed. However, I hear quite frequently about how today we’ve been blessed with modern medicine and technology and that we don’t need to rely on God as much for healings. Some people say that God caused the medicine and technology to take place so we shouldn’t bother God with a miracle unless we have to. This makes me wonder if we are like the elders Joseph Smith talks about and rebukes and if we lack faith and rely too heavily on man instead of God. As the Book of Mormon states, when faith is lacking, God can not do miracles. Perhaps we don’t see as many miracles such as the one described because we lack faith. Parley P. Pratt, Autobiography of Parley Parker Pratt, One of the Twelve Apostles of the Church of Jesus Christ of Latter-Day Saints, Embracing His Life, Ministry and Travels, with Extracts, in Prose and Verse, from His Miscellaneous Writings, edited by his son, Parley P. Pratt (New York: Russell Brothers, 1874), 325; emphasis his. It is not known when Pratt wrote this account, though it must have been before his lynching in 1857. Wilford Woodruff briefly noted the healings in his contemporaneous diary, Wilford Woodruff’s Journal, 1833–1898, typescript, edited by Scott G. Kenney, 9 vols. (Midvale, Utah: Signature Books, 1983–85), 1:347; see also 6:377. Woodruff later published an extended version. Wilford Woodruff, Leaves from My Journal, Book 3 of THE FAITH-PROMOTING SERIES (Salt Lake City: Juvenile Instructor Office, 1881), 75–79. During the winter of 1857–58, Church historians, including Woodruff, wrote short descriptions of the events for inclusion in the “History of Brigham Young” and the “History of Wilford Woodruff.” Young’s 1839 diary does not include a description of the events. “History of Brigham Young,” Deseret News, February 24, 1858, 401; “History of Wilford Woodruff,” Deseret News, July 28, 1858, 93. Orson F. Whitney, Life of Heber C. Kimball, an Apostle: The Father and Founder of the British Mission (Salt Lake City: Kimball Family, 1888), 262–63, includes an extended narrative, ostensibly quoted from Heber C. Kimball. The source of Whitney’s quotation attributed to Kimball is not clear; however, if it is genuinely Kimball’s, then he must have made the statement before his death in 1868. J[oseph]. B. Noble, “Early Scenes in Church History,” Juvenile Instructor 15 (May 15, 1880): 112, includes a short version of the events, including the expression of disapproval about the elders as found in Pratt’s account. See also Jedediah M. Grant, December 17, 1854, and Heber C. Kimball, December 17, 1854, Journal of Discourses, 26 vols. (London and Liverpool: LDS Booksellers Depot, 1854–86), 2:232–34; Woodruff, Journal, 5:23; George A. Smith, Loose diary pages, July 22 and 24, 1839, MS 1322, Box 1, fd. 5, LDS Church History Library, in Selected Collections from the Archives of the Church of Jesus Christ of Latter-day Saints, 2 vols., DVD (Provo, Utah: Brigham Young University Press, [December 2002], 1:32; Lavina Fielding Anderson, ed., Lucy’s Book: A Critical Edition of Lucy Mack Smith’s Family Memoir (Salt Lake City: Signature Books, 2001), 765–76. I agree completely with the sentiments expressed in the article above (“Have we Lost the Gift of Healing the Sick?”). Incidentally, my local LDS friend told me once that he believes he has the gift of healing. Tell me more about your conversation with your LDS friend. Did he give you any examples of healing? He did tell me a story but made me covenant not to tell anyone except you since it was sacred. I can say this: The story is a testimony to the goodness of God and the reality of LDS priesthood power that comes from the Lord Jesus Christ. This brings up an issue, though. I think sometimes LDS members keep sacred things private when the Father would like them to go public for his glory. I have a Catholic neighbor who shows little if any evidence of a personal relationship with Jesus. My wife says some people think they’re supposed to keep their religion private. Is this what Jesus taught? Didn’t he ask, “Is a candle brought to be put under a bushel, or under a bed? and not to be set on a candlestick?” (Mark 4:21)? I’m a pretty open person, so I can’t speak for others. I agree with you that it is good to share and witness of miracles Jesus plays in our lives. That being said, some people are more private. It isn’t a directive from LDS leaders that we not share spiritual experiences, just personal preference. Perhaps he doesn’t want to put it out there for scrutiny, etc. I totally respect other peoples’ view on sharing/not sharing spiritual things. I think there are many incidents of modern healing miracles; I’m one and our son is another. We just don’t hear much about them outside our small circles of family and friends. I also believe that modern medicine is miraculous too. To be able to see inside the body without cutting it open is pretty miraculous. To be able to take a pill and get well is totally miraculous. What would the early saints think of all our miracles? Including those of technology? I like your comment and agree with you that modern medicine is a miracle. I recall a talk given by Elder Oaks a little while back that talks about medicine being from God and is a miracle. With that said, I still think that we (I’m really looking inward when I say “we” because I’m not always the best at this) should turn to God for a blessing and also use modern medicine and make sure we acknowledge His hand in all things regarding healing. Out of curiosity, and if you’re comfortable with it, what healings have you witnessed? The man who invented MRIs is a Christian who gave God the credit for his ideas!